For the astute viewer, understanding what the Gaga dance movement language involves is clarified by the opening and closing scenes of Mr. Gaga, a fully absorbing documentary about Israeli choreographer Ohad Naharin. The film opens with a dancer who is following Naharin’s instructions on how to execute a collapse backward onto the floor. She repeats the move several times, as Naharin criticizes her execution, his voice dripping with dissatisfaction about her inability to translate a typically awkward, ugly movement into artistic expression. Some 100 minutes later, the film closes on a shot of the same dancer onstage executing the collapse perfectly. Repertory Dance Theatre, Noa Zuk, By The Snake. Photo Credit: Sharon Kain. The visual testament to Naharin’s work and to his movement language is riveting in its dramatic, sometimes brutally emotional, tones in Mr. Gaga, a documentary directed by Tomer Heymann and produced by his brother Barak. The 2015 film (primarily in English but also in Hebrew with English subtitles), which came to the U.S. earlier this year and has garnered numerous audience awards around the world, will be screened by the Utah Film Center in a Sept. 20 program at 7 p.m. in the Rose Wagner Center for Performing Arts. Audience members also will see Gaga movement, as RDT dancers will perform excerpts from Noa Zuk’s By The Snake, a standout Gaga piece from 2014 in the company’s repertoire. The dancers and Linda Smith, RDT’s cofounder and executive and artistic director, will join Doug Fabrizio, host of KUER-FM’s RadioWest program, for a Q&A after the screening and performance. The program is free and open to the public. Mr. Gaga elevates the biographical documentary form into a first-rate piece of cinematic creative nonfiction. Born in 1952 on an Israeli kibbutz, Naharin began formal dance training during his college years, a rather late start for someone who eventually would dance professionally in New York City (including a brief tenure with Martha Graham) and would return to Israel at the age of 38 to take the helm at Batsheva. Naharin is a complex, exacting, imposing artist and Heymann’s cinematic portrait does not sanitize the candid aspects of his subject’s passions and demeanor – both in dance and life. There is a good deal of archival footage from Naharin’s personal life as well as excerpts of his work. Early in the film, there is a brief clip with his father, Eliav Naharin, who says, “Life is full of tatters. Try to reattach them, it doesn’t work.” This turns out to be an incisive foreshadowing moment, as the audience learns more about how Naharin tries to navigate love and passion on and off the dance stage. Heymann excels at showing connections between signature events in Naharin’s life and the impact of memory in his choreography. At 21, Naharin served in the Israeli army during the 1973 Yom Kippur War. There is a newsreel clip with the young man speaking as the camera scans the ground which is covered with dead soldiers. In the next instance, there is a scene of a performing venue where dancers are on the stage, their bodies contorted in ways suggesting they had suffered a violent death. Mr. Gaga – A film by Tomer Heymann – Trailer from Heymann Brothers Films on Vimeo. The director’s deep love for dance shows throughout the film, which resonates equally for audiences, regardless of their interest in or connection to dance. The featured dance segments, not particularly of the most highly polished quality in terms of archived video, nevertheless underscore the exciting, organic and accessible nature of Naharin’s choreography. Among the works noted is Sadeh 21, which translates to 21 fields, a metaphorical composition about walls and the potential for liberation, especially for those who are disadvantaged or disenfranchised. Even in these clips, Naharin’s work seems to leap off the screen in its connective energy. He orchestrates random movements with near-excruciating precision but yet they still convey such natural spontaneity amidst a dance landscape that almost always is framed with classical symmetry. The film beautifully weaves biographical and artistic elements so intricately that it takes the entire length of the documentary to understand that the best way to appreciate the creative process of a supremely gifted artist is not to idolize or worship the individual but rather to acknowledge how the pains, doubts and shortcomings of life actually nourish the expression of one of humankind’s oldest forms of performance art. It is a transcendental epiphany that also explains why this film has become such a favorite of film festival audiences. At one point, Naomi Bloch Fortis, executive director of the Jerusalem Season of Culture, says, “Ohad said that, to be rehearsal director – is to be able to be a queen and a slave at the same time.” Naharin never makes any apologies and if there are regrets they are internalized. He chastises a young male dancer several times, telling him to stop, listen and watch as Naharin demonstrates the precise backward movement he wants to see. One dancer recalls hearing Naharin, off stage, saying that the performance is boring him. Achieving the intimate and candid aspects in this cinematic portrait of Naharin did not come easily – a project that took eight years to complete. As Barak explains, “it was a big challenge to tell a person like him what to do and how to do it.” As audience members discover, Naharin tells his dancers that they have to “let it go” or “lose control” – perhaps the most essential core element in mastering the Gaga movement language. The Heymann brothers were patient but firmly resolved in persuading their subject to — put it in plainest terms — practice what he preached. A turning point came one day when Naharin’s mother called Barak to request a video from Naharin’s teen years that she wanted to include in a family celebration. “Initially, I thought she was crazy,” he says. She told him that her son had recorded every event of his life and that he had the tapes. “My reaction was, ‘Oh my God! This cannot be happening,” he explains. For six months, Naharin steadfastly refused to hand over the archives, understandably hesitant to hand over chronicles of some of the most intimate and elegiac memories in his life. These include videos of his late wife, Mari Kajiwara, whom he met in New York City when she danced with Alvin Ailey’s company. She died of cervical cancer in 2001. 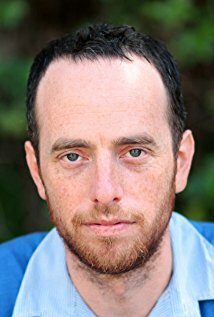 Finally, one evening just before midnight, Tomer calls Barak to come immediately to Naharin’s home because the choreographer finally relented. The brothers retrieved a voluminous trove of materials, including a good deal of footage that had never been developed and it was in every imaginable format available on the home video market. “We ultimately found the five percent of material that would be beautiful for the film,” Barak adds. 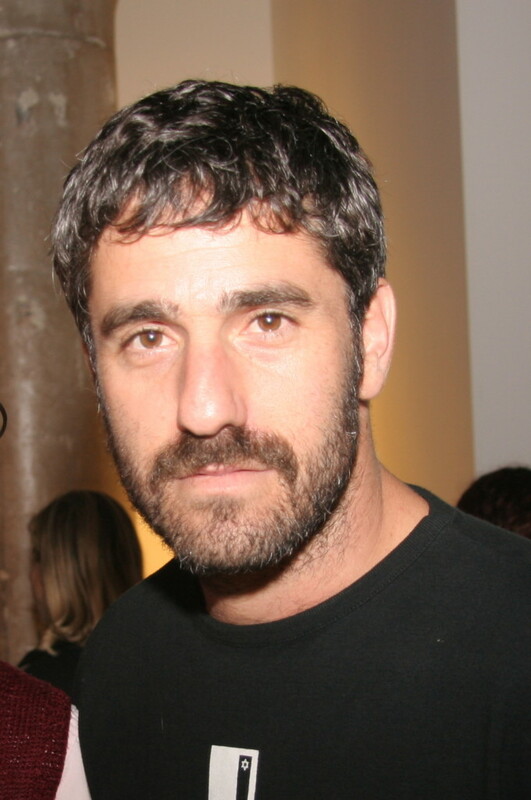 As for the subject’s reaction when he saw the film for the first time, Barak says Naharin was moved deeply, especially in the clips showing his late wife, which were among the footage that he had never seen previously. “He said this is a great film but it’s not the film he would have made about himself,” Barak adds. Naharin unquestionably has been a force in making Israel’s modern dance scene electrifying and intensely competitive. In December every year, Israel’s ministry of foreign affairs and ministry of culture and sports invites presenters, curators, choreographers and journalists from more than 35 countries to showcase work of the country’s contemporary dance companies. It is held at the Suzanne Dellal Centre for Dance and Theatre in Tel Aviv. Naharin’s Last Work (2015), which is seen in the documentary, was featured at the festival two years ago. 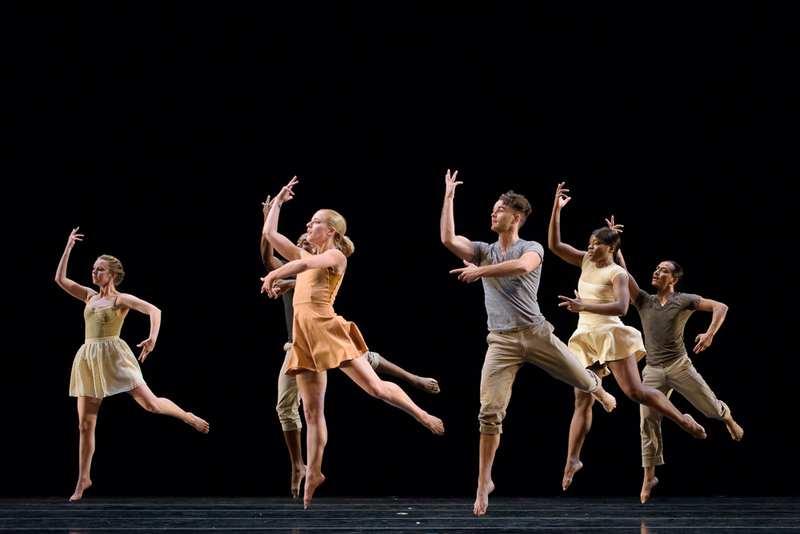 Likewise, in Salt Lake City, RDT has contributed significantly to making the city’s dance scene as dynamic as possible, due primarily to the company’s status as the nation’s longest-running dance repertory company. Zuk’s By The Snake, which runs about 18 and a half minutes, has become one of the most popular recent works in RDT’s repertoire. It joyously upends the social and gender conventions of couples dancing with an exhilarating score to boot featuring Israeli folk dance. Zuk worked with Naharin during her tenure with Batsheva. Also, Ohad Fishof, who has composed many of the soundtracks for Naharin’s works, scored the music for By The Snake. Thank you Les for the great coverage.